Allow yourself to escape within the celestial beauty and elegance of the Cedar Ridge Estate. Nestled in the serene hills of Coldwater, MS on 160 acres, Cedar Ridge poses as the perfect location for all your special events. Upon the grounds lies a fully stocked pond surrounded by lush gardens and charming walkways. An estimated 40,000 bulbs have been planted to gently frame the land that encompass this beautiful event site. Every garden has been artfully designed to perfection. Among one of our most prized features, we offer our stunning Pool House that provides a breathtaking atmosphere for indoor events. 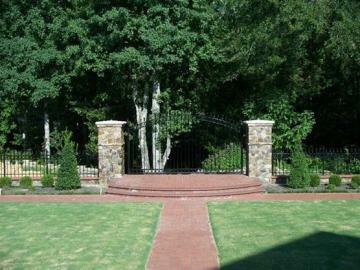 Beautifully curved stone brick walls surround the 5000 square ft Patio perfect for ceremonies and parties. We guarantee that you will find your “someplace special" right here at Cedar Ridge.